Delhi, 3rd Feb 2016: In yet another industry first, Piaggio India today unveiled India’s first Sport-Scooterbike – Aprilia SR 150 designed for the country’s discerning young riders who are looking for the sensation of sport bikes and the convenience of automatic scooters in their daily city commute. The innovative Aprilia SR 150 has the unique design which perfectly blends the cues of motorbikes and scooters. This cross over with its powerful 150cc engine, 14 inch big wheels like motor bikes and auto gears like motor scooters is set to carve out a new category in the country’s booming two-wheeler market. Aprilia SR 150 is characterised by an aggressive sporty style. The design reflects the character of brand Aprilia. The distinct sporty handlebar, the light unit included in the shield and above all the pronounced ‘beak’ on the front wheel characterise the front end. The large black 14″ alloy wheels with five spokes show off the decisive and sporty design drawn from the Aprilia racing bikes. The raw power of 150cc enhances the liveliness of a vehicle born to make every city ride fun, fitted with sport street tyres and 220 mm front disc and 140 mm rear drum brakes. To be manufactured at Piaggio’s state of the art Baramati plant, the Aprilia SR 150 is all set to be launched in the Indian market by August 2016. 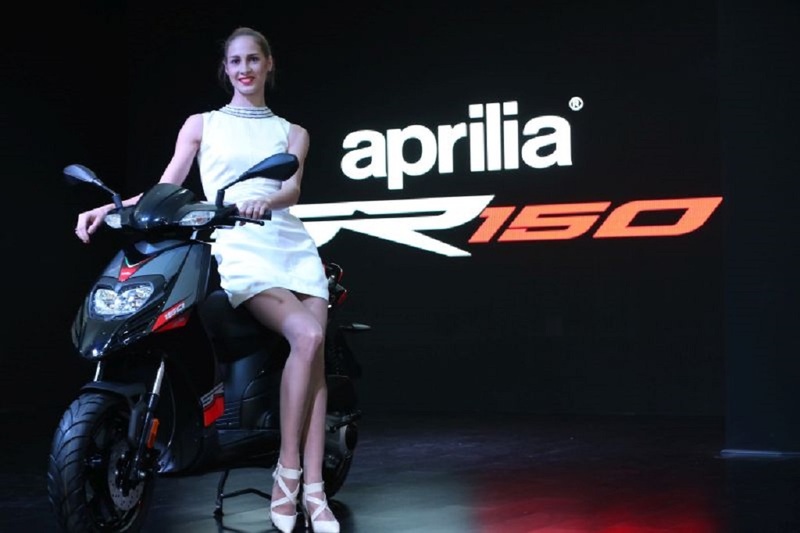 Aprilia SR 150 is Piaggio’s latest offering to India. 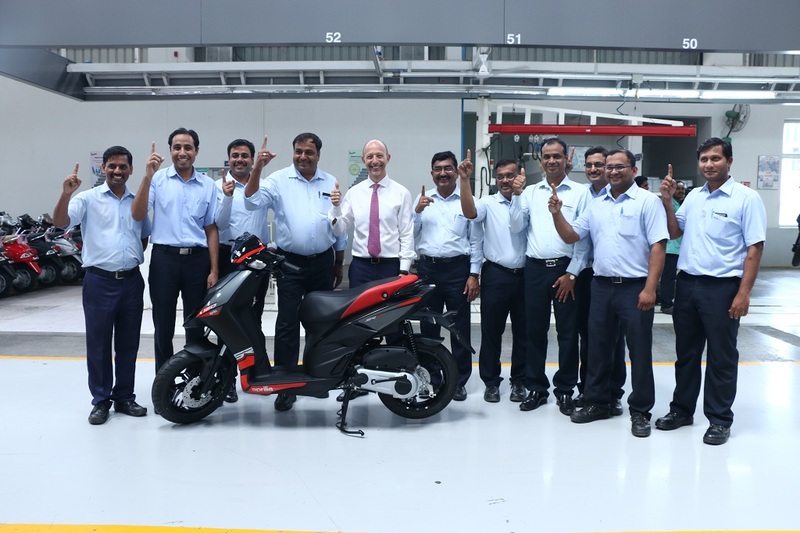 With this addition, Piaggio Vehicles Private Limited – the Piaggio Group’s wholly owned Indian subsidiary again pioneers a new category in India’s premium two- wheeler market. 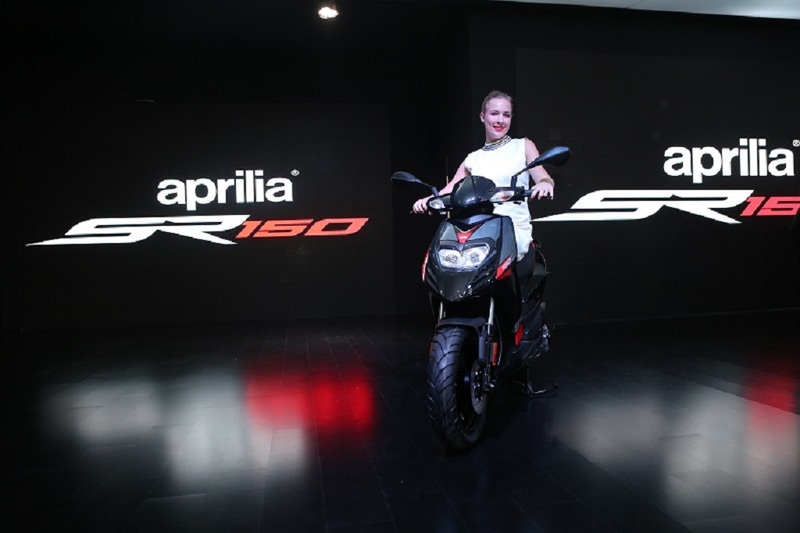 Shedding light on the opportunity the company sees for the Aprilia SR 150 in India, Stefano Pelle, CEO, Piaggio India said, “Piaggio India is once again set to carve out a new category in the premium two wheeler segment with the Aprilia SR 150. Aimed at catering to the desire of the discerning youth of India, this innovative cross over Sport-Scooterbike is designed to appeal to those looking for the sensation of sports bikes and the convenience of automatic scooters in their daily city commute”. Alongside the new Aprilia SR 150, the Piaggio Group exhibited the most representative vehicles from Aprilia, Moto Guzzi and Vespa brands. Moto Guzzi is one of the oldest and most respected brands in motorcycle history, a legendary italian brand beloved the world over for its legendary motorcycles. Established in 1921, and acquired at the end of 2004 by the Piaggio Group, Moto Guzzi has operated continuously for 95 years at the same factory in Mandello del Lario, with its fully stocked museum on the “Eagle brand – the site is one of the most popular destinations for bikers from all over the world. The emblem of a culture and capability of building unique bikes, the Moto Guzzi models are still assembled by hand in the Mandello del Lario plant. Vespa has been a synonym with two-wheel individual mobility since 1946 when it made its debut; with more than 18 million vehicles produced since then, the Vespa is an incredibly longlived market success as well as one of the best known icons of Italian style and technology in the world. Piaggio Vehicles Private Limited (PVPL) is a 100% subsidiary of Piaggio Group, founded in 1884, leader of the European powered two-wheeler market. The Group manufactures scooters and motorcycles as well as three and four wheeled commercial vehicles with an impressive portfolio of brands including Piaggio, Vespa, Aprilia, Moto Guzzi and Apé. 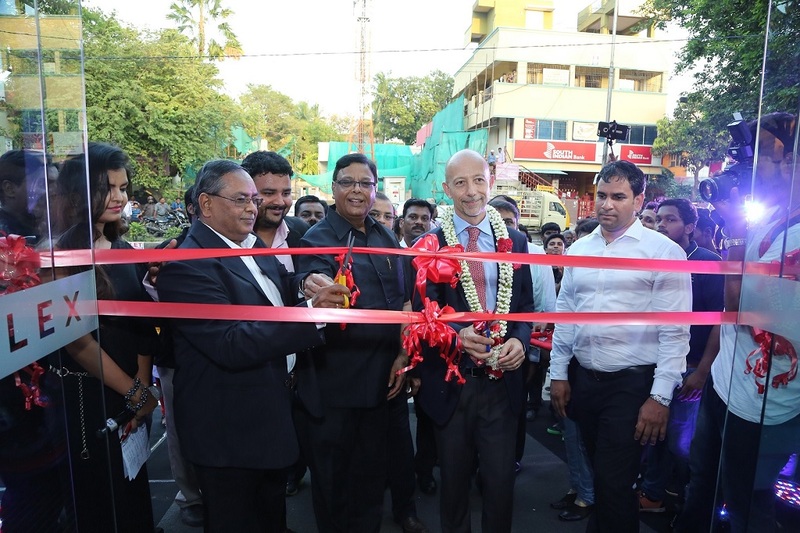 PVPL commenced its India operations in 1999, with the launch of the Apé, which became India’s favourite three-wheeler brand in a short span of time. Piaggio invented the Vespa in 1946. Having successfully established itself in the world wide two wheeler segment, Vespa was launched in India in April 2012. The Company has a stateof-the-art plant in Baramati, Maharashtra, India where it manufactures the iconic Vespa alongside its wide range of 3 and 4 wheeled commercial vehicles.